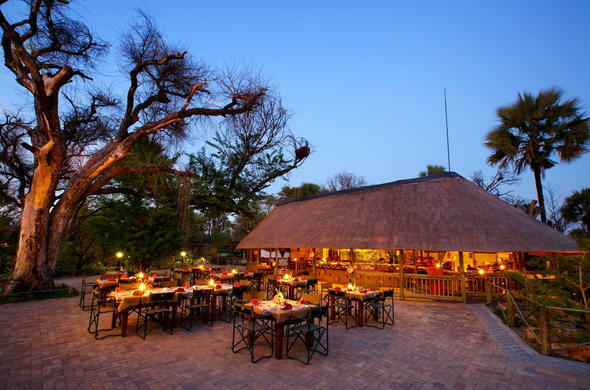 Nata Lodge, also known as “Birdwatchers Paradise”, is situated on the main route that links a variety of tourist destinations, such as the Okavango Delta, Chobe National Park, and the majestic Victoria Falls. Whether you're planning a pit stop on your way to one of the major tourist destinations, or intend on having a peaceful stay in a region adorned by a diversity of bird species, your stay near the Makgadikgadi Pans and Nata Bird Sanctuary is one to look forward to. Accommodated in either a thatched chalet or a tented suite, you will experience comfortable accommodation and a range of on-site lodge facilities. Ideal for a peaceful stay shaded by Mokolwane palms, this Botswana safari lodge is accessible via the famous Okavango and Chobe areas, and also enjoys a location close to the Nata village and the Nata Sanctuary.